I went to school at Renon's Academy for Hair Seattle (Now known as Paul Mitchell). I studied intensely under Horst Rechelbacher, founder of the Aveda Corporation. 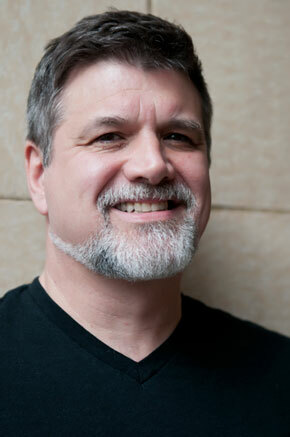 I have done platform work for Markham, Sorbie, and Aveda product lines. I enjoy working on cars, both contemporary and vintage. I am on two bowling leagues (true!). Remodeling our house tends to keep me very busy!! While I don't have a favorite product per se, I like the versatility of both the Aveda & label.m lines. Aveda appeals to the natural side of me, while the label.m line lends itself to the edgier urban styles. I don't have a favorite hairstyle. I like the challenges that come from each and truly enjoy the creative process and thought that goes into each and every hairstyle I do. The thing that I like the best is being a "day maker". I love helping people find the style or color that suits who they are. I find beauty in every person, and strive to listen closely to make each in my chair leave with the look they came in to achieve. I've been doing hair since 1980. I was educated at Adenes Beauty School. Since leaving school I have continued to progress my abilities by taking Framesi and Aveda classes, as well as frequently go to hair shows. I attended Aveda Congress Festival in 1994. I have done makeup and hair for photo & calendar shoots with Seagals. I have also done makeup and photo shoots with Ginger Boyle & Robert Lydon. In my free time I enjoy hanging out with my kids and 2 dogs. Beading and Jewelry crafting are 2 of the hobbies I enjoy. In the Winter I love to head up to the mountains for a day of skiing. Currently my favorite products are label.m Sea Salt Spray and Aveda Light Elements Texturizing Wax. I love 30's Fingerwaves, soft razor cuts, textured point cutting and slide cutting. The thing that I enjoy the most is getting the opportunity to be creative with updos and creating texture with cuts and color. I really like to meet the wide array of people that entrust me to take care of their style. I became a part of the Euphorium team in 2012. My passion is designing a custom look reflecting your personal style and character. I have knowledge of individual facial shapes and skin tones, and can recommend complimentary colors and cuts for you. I specialize in balayage, and blending your rooted natural color with a light more brightened rest of your hair. Special event styles have always been a blast for me to do. No two heads of hair are ever the same, so it’s a fun switch-up, to my daily routine. You’re welcome to bring in a picture, if you have something specific in mind, or you can ask for me to get creative and have some fun! I am never too old, experienced or wise to learn! I am always continuing my education and often take small group classes on new and upcoming trends and techniques. When I’m not at work, I’m with my kids. I have two young boys who are the light of my life, most of the time (just kidding, haha). We love to adventure on hikes and trails, ride bikes, and swim in our little above ground pool. 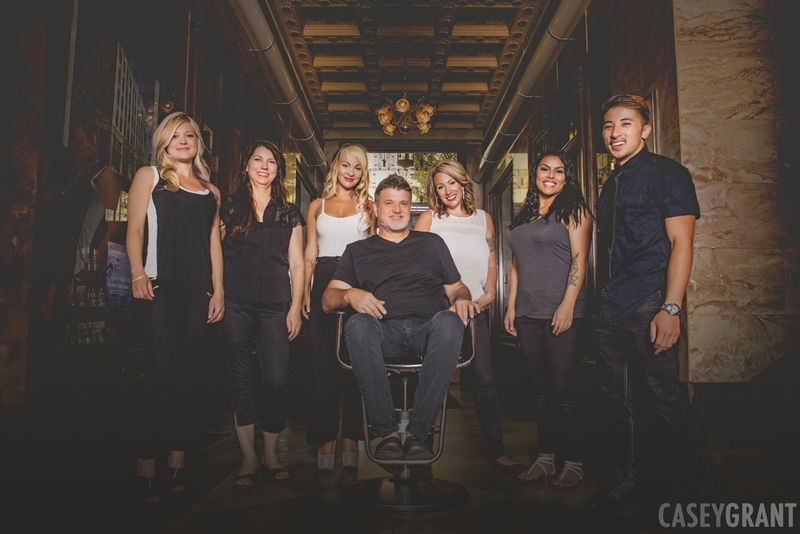 I am a graduate of the West Beauty School and the Gene Juarez Academy's Advanced Hair Design School. I worked as Advanced Designer with Gene Juarez for over eleven years. I look forward to working one-one with you, creating a customized look that reflects your personality and lifestyle. I am knowledgeable about the latest techniques and treads. I work with all types and textures of hair and use the latest hair products and smoothing treatment for men , women and children. When you come in to see me for a designer haircuts,style or color, we will do a one-one consultation to understand your personal style to create a custom look that will fit your lifestyle and features. For color services, we will discuss what type of maintenance that you would like to have in the future, and take into consideration your skin tone and your eyes to create the perfect look for you. You will receive a shampoo, conditioner, scalp massage and a wonderful style to complete service. We will discuss what products you can use at home for the perfect look, and make your color last. My unique ability withcreative and special occasion hair will make your special events sizzle with style for any occasion such as, military ball or your wedding day. Your One -oneconsultation with meto create that perfect look foryour features and your dress. Let'stalk about the Brazilian blowout. It is a smoothing treatment with 100% Sulfrate -Free formula. It helps cuts down your styling time,and will increase shine,reduce frizz, and protect color. In my spare time I enjoy remodeling and decorating my home. I also burn up the rink with my Roller Derby team the Rainy City Roller Dolls as my alter ego " Alley Cat."